A chiropractic adjustment, also known as chiropractic manipulative therapy, manual manipulation, or spinal manipulation, is the primary chiropractic treatment method for back pain. Spinal manipulation is relieves pressure on joints & nerves, reduces inflammation, and improves nerve function. It has been a trusted form of treatment since the ancient Greek Hippocrates documented manipulative techniques in his writings back in 1500 B.C. Today, spinal manipulation is used to treat conditions such as allergies, menstrual cramps, and headaches for just a few examples. There are well over 100 types of adjustment techniques used by chiropractors throughout the world. Some practitioners may use a high thrust type force, while other techniques are more gentle and use a lower thrust or force. Regardless of how they are performed, these techniques are intended to restore or enhance joint function with the objectives of reducing pain and resolving joint inflammation. When vertebrae shift out of place, there is an overall systemic response from the muscular system to the central nervous system. Without proper alignment and flow, our nerves, our immune system, and our minds cannot function at their highest peak, and the result is dysfunction.. 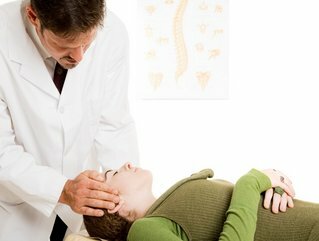 Contact Dr. Long today to schedule a consultation to make sure chiropractic manipulative therapy is appropriate for your condition.